Welcome. I m so happy that you stopped by. My home and garden are always open for you to come in and sit and relax with a cup of tea while I share with you the inspiration for my art. 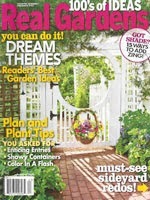 I am doing well from knee replacement surgery and not yet up to writing a new post. Please excuse me for re-posting another post about painting roosters. 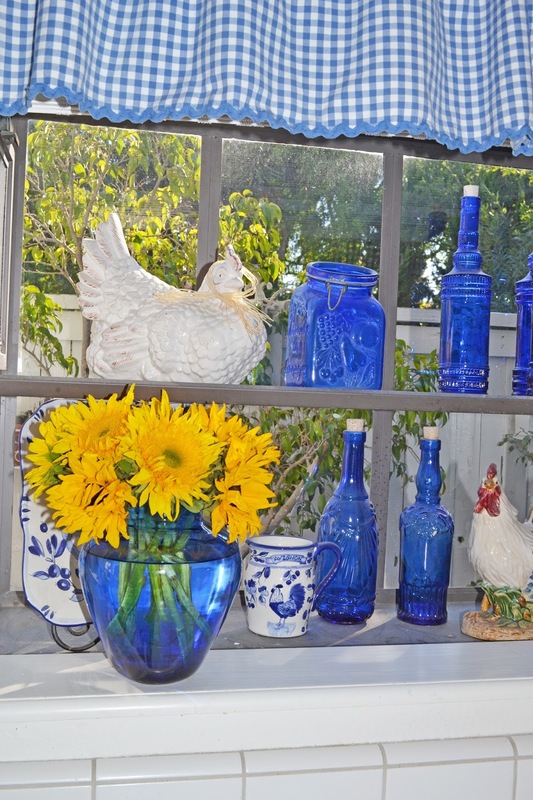 Those of you who have been following my blog have probably figured out by now that I love - love blue and white china as well as my blue and white kitchen with Roosters. Bentley, my Studio Assistant, even has a Rooster bowl to eat out of and likes to hang out in the kitchen in hopes of getting an extra treat! Yes- more Roosters even on the towels! In this photo you can see the wall phone above the blue chair. It stopped working and when I took the phone down it left an ugly phone jack. I did not want to make a big hole in the wall and decided to paint two blue and white Roosters to hang on the wall and cover to cover up the phone jack. Just what the kitchen needs - a few more Roosters!!!! stenciled it on the canvas and then painted a rooster over it and added some vines and red flowers winding through the chicken wire. I painted the top Rooster on an 8x8 canvas and the bottom one on a larger canvas so it would fit over the ugly phone jack. I used the same stencil to tie the small painting together - just painted a different Rooster facing the opposite direction. As you can see I had lots of Rooster inspirations in my kitchen to use. Roosters - Here - There - Everywhere in my kitchen! Thank you for stopping by. I sincerely appreciate your prayers, cards, visits, e-mails, comments and those of you who are following my blog. I hope to be back in two weeks with a new blog post and new paintings. In the meantime I am working hard with my daily physical therapy so that I can get back out in my garden and start painting again. Lovely kitchen! 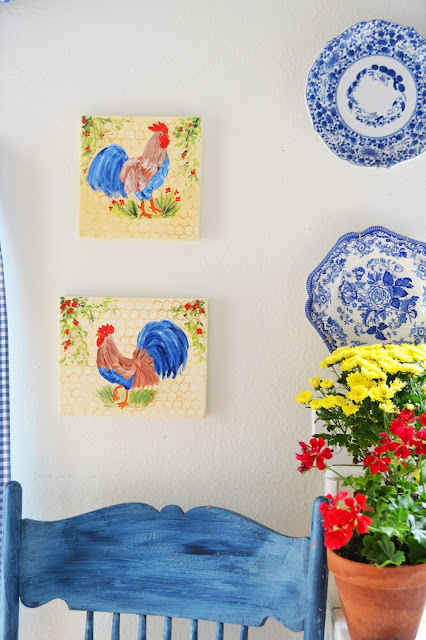 You can never have too many roosters in the kitchen! I just love the way you decorate! The only problem is that it makes me want to totally re-do mine! I am just recovering from a torn knee ligament so I won't be re-doing anything for a while but I just love what you do with your home and garden! Thanks for sharing the inspiration! Just stopping by - beautiful blues and whites (and roosters all!). How neat to be able to decorate your home with your own art. 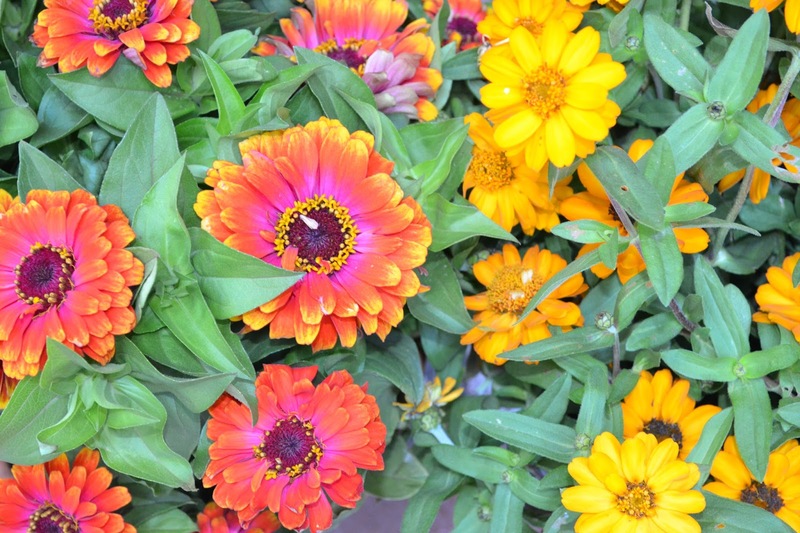 Love the flowers at the end - a grand finale! Also love the advertisement for your art. Very nicely done! Your kitchen is so charming and cheerful. I love the colors and all the roosters! I used to have splashes of red in my kitchen, but recently changed to turquoise. I really miss the red sometimes. Your dog is so sweet. 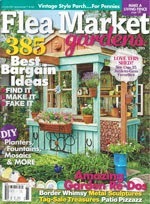 You have given me inspiration and now want to spruce up my kitchen. You do have a lovely kitchen and many roosters, but you can never have to many. I love roosters, I only started collecting them. Your kitchen is full of character. Just beautiful!!! 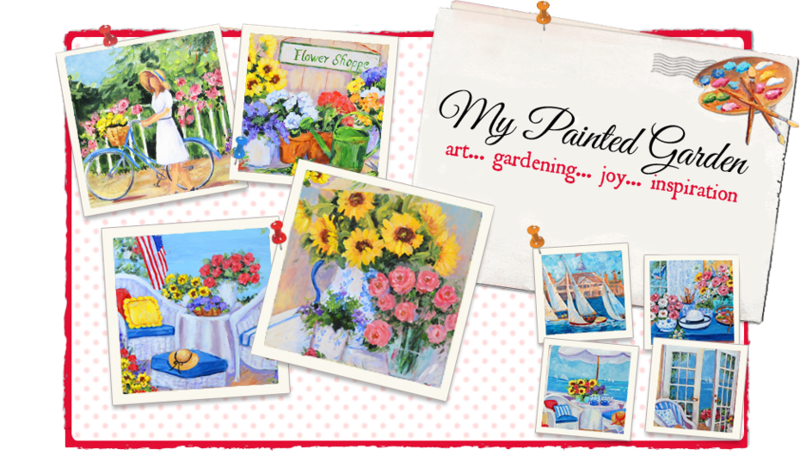 Love all your cheerful touches and pretty paintings! LOVE YOUR KITCHEN. Everything matches so good and cute. 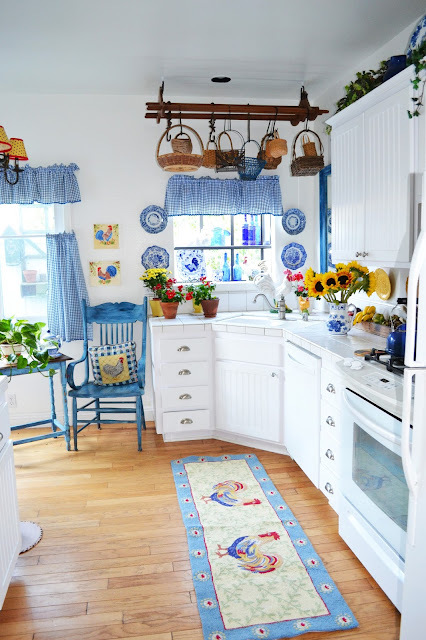 A perfect blue and white kitchen. How happy you must feel when you cook ! 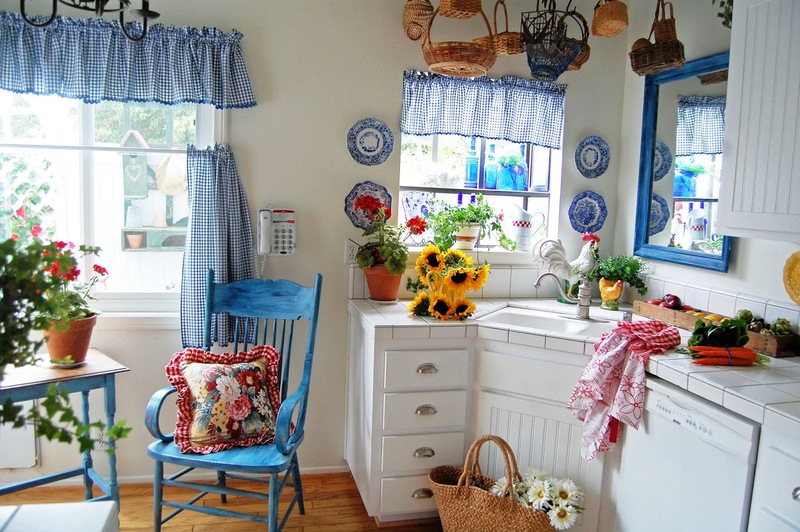 I am in love with your kitchen - my kitchen at our former home was blue and white. 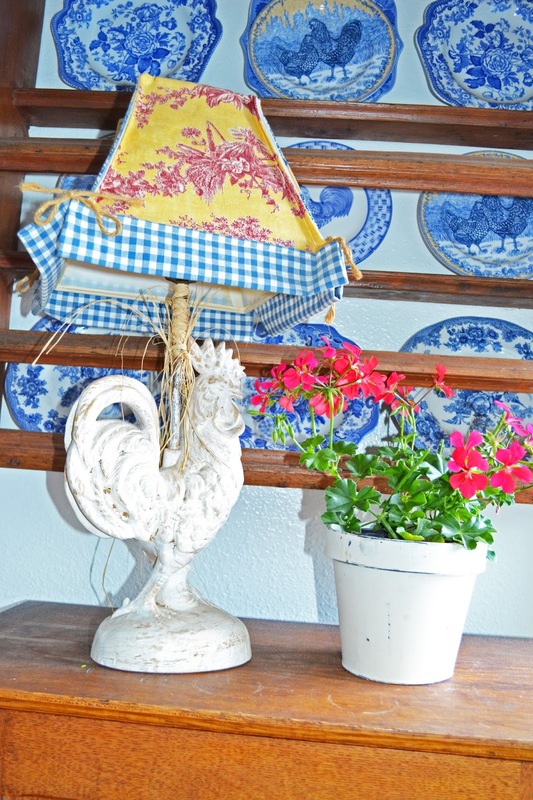 I love the lampshade on the rooster lamp. 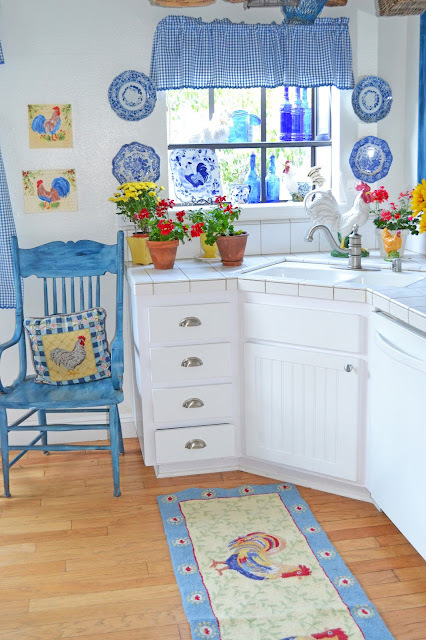 Your kitchen is so cheery and light! Mine is woefully dark with only a tiny window. Yours just makes me smile! Nice save on the jack! Your kitchen is so happy and charming Erin; I remember when we had lunch there! 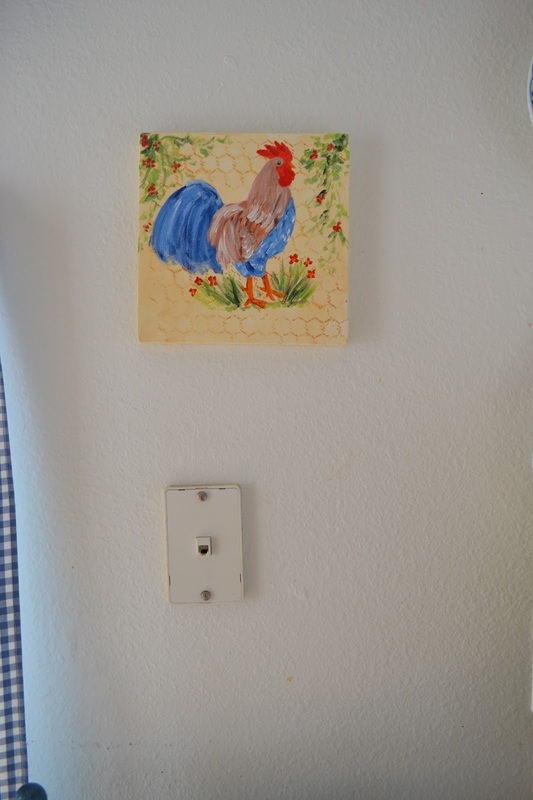 Love the rooster to cover up the switch plate! I love your light, bright, blue and white (with roosters) kitchen! Everything is so pretty. Your rooster paintings made me smile. I love love love your kitchen. We are redoing ours right now. Cute little hen pictures. I love roosters and yours are charming. 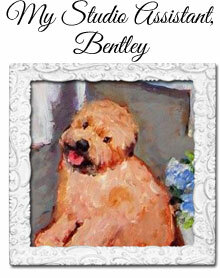 Thank you for commenting on my painting through Jacki Long's post. Erin, I think it's impossible to ever tire of your colorful posts, old or new. I always leave your page so inspired and exhilarated, and I never forget the irresistible details. 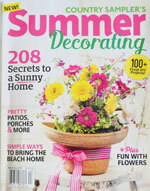 Still trying to make my way to Anthropologie to see if I spot your sunny sunflower teacup...or a similar one. Wishing you a full recovery soon. Your blue and white kitchen is so pretty, and I love the way you painted roosters with blue and white. You have inspired me to give painting some roosters with blue and white a try. Best wishes for a speedy healing. 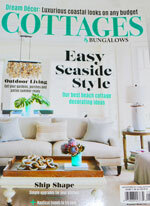 I just love your "cottage". Hope you are recovering quickly. I haven't seen a post from you in awhile so I am just checking to see how you are. Hope surgery went well. Hi Erin. I love your kitchen. 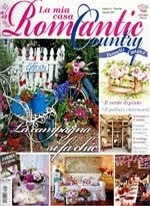 It is so cheerful and I love blue and white!